Equitrekking contributor and author of Alta Mira Horsemanship shares some of her favorite spots to go horseback riding in the Pacific Northwest. Usually, when I tell people that I moved from sunny San Diego, California to the melancholy vibes of Seattle, Washington, they don an expression of complete shock. “Why would you want to move from such an amazing place as San Diego?,” they ask. Well, I could say there were too many people in Southern California, but Seattle has a lot of people, too. My purpose in coming here was to go to college, but my choice of locale came from a desire for change. I wanted something that still seemed a bit undiscovered and adventure-worthy. The Pacific Northwest came with no disappointment. Seeing the ecosystem inhale and exhale with every passing season, from the dew of dawn to the contented sigh of the evening, is confirmation that this is the adventurer’s home. The drizzle that serves as our common backdrop merely highlights the prism of dazzling pink and purple tulips in the spring, the burnt orange and ashy red of the fall, and the bright, varied green foliage of the summer rainforest. NORTON SHORES, MI – Horses are now allowed on some trails at a park in Norton Shores, a rarity for municipal park systems in West Michigan. An ordinance prohibiting horses in Norton Shores parks recently was amended by the city council to allow them at Black Lake Park. That amounts to a big win for equestrian enthusiasts in the area. Gail Whitaker, 75, of Norton Shores was one of several horse enthusiasts who lobbied for the change. She said equestrians have been taking their horses for trots around the woods surrounding the park. 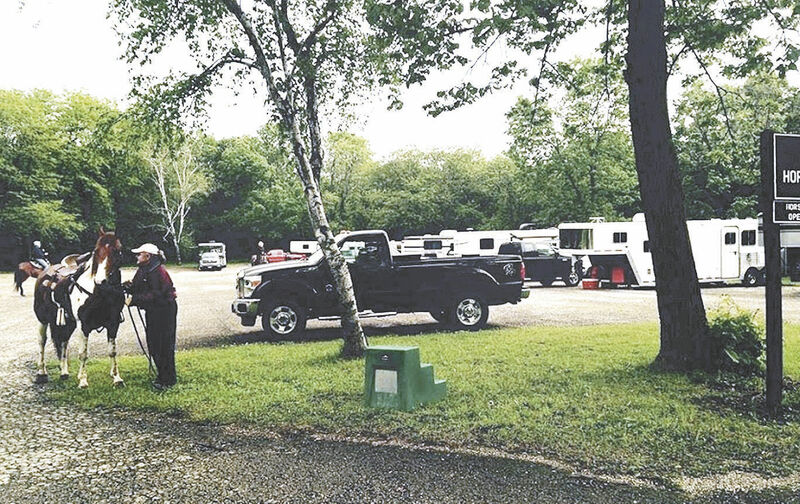 Now, she and her friends in the Tuesday Trotters equine club can ride on specified park trails at Black Lake Park, located on a 58-acre parcel of land off south of Pontaluna Road between Wood Road and the eastern shoreline of Little Black Lake. 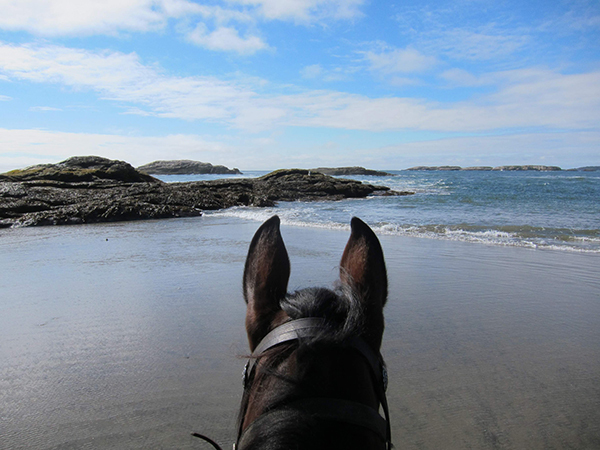 Did you know that you can horseback ride on the beach in Maine? Here are two of the best beaches and a wildlife refuge that you won't want to miss. Text and photos by Susan St. Amand. Bikers are lobbying for increased access to roads and trails in the Point Reyes National Seashore and the Golden Gate National Recreation Area, where their options are currently limited. The Marin Bicycle Coalition submitted a proposal to the National Park Service last month that both requests new designations for bikes in areas now open to hikers and equestrians only and suggests new trail connections for all users. Withlacoochee State Forest offers scenic and unique opportunities for a wide variety of outdoor activities such as hiking, seasonal hunting, nature photography, mountain biking, motocross and of course horseback riding. Hernando County is home to many horse owners. There are designated areas for horseback riding within the Withlacoochee State Forest which provide more than just a healthy outlet for horses, but for the riders as well. The Nature Coast Back Country Horsemen organization began in Montana in 1973 when four horsemen realized that public lands would need help in order to keep equestrian access open for future generations. As the years past many chapters were organized and developed to help maintain the upkeep of existing trails as well as create new ones.